West Antarctica’s Thwaites Glacier covers 70,270 square miles (182,000 square km), the approximate size of Florida. The ice mass has been dubbed the “world's most dangerous glacier” because it holds enough ice to raise the world oceans more than two feet (65cm). What is more, the Thwaites Glacier backstops other ice sheets with the potential to raise sea levels an additional eight feet (2.5m) if all the ice is lost. And in calamitous news for low-lying counties, NASA researchers have revealed the presence of a previously-unknown yawning cavity at the bottom of Thwaites Glacier. The chamber is two-thirds the size of Manhattan and 1,000ft (300m) tall – and growing fast. Researchers expected to find some holes between ice and bedrock at Thwaites' bottom, however, the size and “explosive growth rate” of the cavity shocked them. 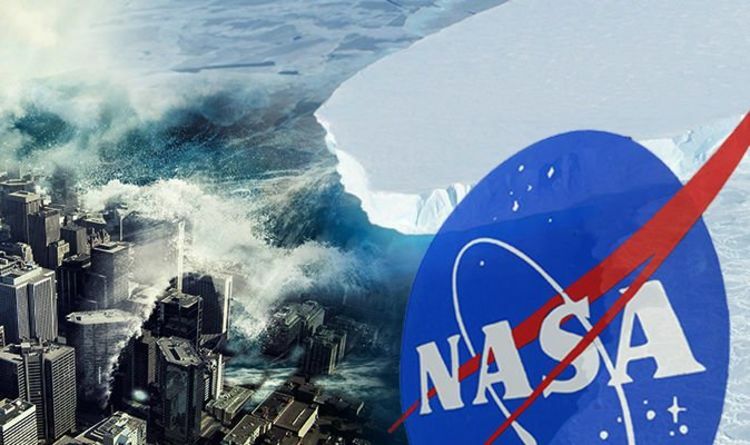 Eric Rignot, NASA Jet Propulsion Laboratory (JPL) researcher and Operation IceBridge study co-author, said: “We have suspected for years that Thwaites was not tightly attached to the bedrock beneath it. The findings illustrate the need for detailed observations of Antarctic glaciers' undersides in calculating how fast global sea levels will rise in response to climate change. The Thwaites Glacier is currently responsible for 4 percent of global sea level rise. The International Thwaites Glacier Collaboration will begin its field experiments in the Southern Hemisphere summer of 2019-20. Another changing feature is a glacier's grounding line — the place near the edge of the continent where it lifts off its bed and starts to float on seawater. “We are discovering different mechanisms of retreat,' Mr Milillo said.